At Medland Dental we are excited to celebrate Dental Health Week with our local community and our Medland Tooth Fairies are looking forward to visiting kindergartens in our local area. Dr Stephanie Shields and hygienists Shannon, Eliza and Susanne will be visiting Prior Street Child Care & Development, Carina Heights Child Care & Development, Tarragindi Child Care & Development as well as Lady Gowrie Bulimba throughout the week. 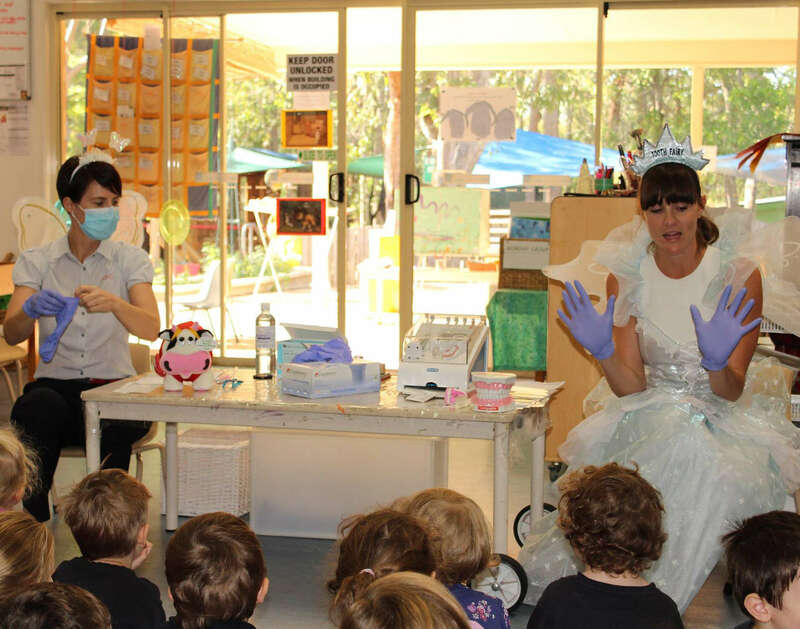 Our Medland Tooth Fairies will be talking to the young children about the importance of looking after their teeth and what to expect from their first dental visit. Medland Dental always places strong emphasis on prevention and our visits will hopefully promote the importance of establishing good dental habits from a young age so children can have happy healthy smiles for life. Medland Dental is delighted to support the Australian Dental Association in their Dental Health Week and to assist our local community in fostering optimal dental habits for both young and old. Would you like the Medland Tooth Fairies to visit your kindergarten? Contact us now to arrange a visit.